There is a new lunch spot for the kosher professional in downtown Chicago. 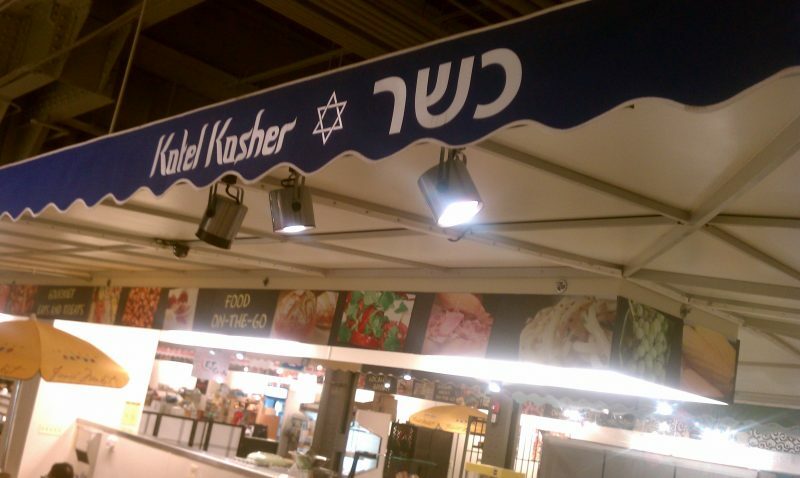 Kotel Kosher opened with much fanfare on March 15th in the French Market under Ogilvie Transportation Center, a main train station where many Jews travel through daily. It is great to have another option for lunch downtown in Chicago. It is nice that they have salads, and not just sandwiches. I also like the fact that they have Bissili and not just chips. The location is perfect, for me at least, just far enough from my office for me to feel like I am getting away for a few minutes, but not too far. Their hours are 10 AM to 7 PM which means they miss the breakfast crowd. That means I have to go back there during lunch instead of just picking up food for lunch when I am in the train station in the morning. There is a very limited selection of sandwiches. Choices include: tuna, egg salad, turkey, or club (which includes turkey) and all served on rye. The sandwiches are served cold and plain, not so much as a piece of lettuce or tomato in sight and there was no ketchup available. Also the portion size seems extremely small. Finally, they we already out of salads on Wednesday at 12:20pm. 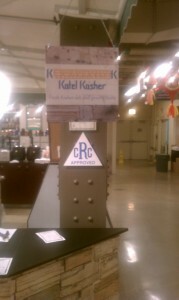 They have Starr Kosher Catering making the food for them. Really.. how hard is it to make fresh sandwiches? Get rid of the classic Jewish groceries. No one is shopping at the train station for egg noodles!! This place has potential if they get their act together. They need to start making their own food, with more options and larger portions otherwise for roughly the same price people will go to the Loop Synagogue for food from Sandwich Club. As it stands now their offerings do not justify the price. For a cold small plain sandwich, I would make it myself for a fraction of the price, especially if I need to return to the train station to get it..